Jackknife Films is a NYC based production company that develops short films and commercials for corporate clients, not-for-profits and the entertainment industry. 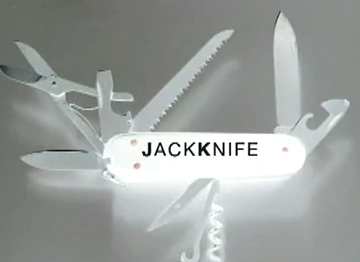 The two principals of Jackknife Films are Jeff Brown and Larry Robins. Both have many years of experience producing films and commercials for a demanding and disparate group of clients. We believe we are pretty good at telling entertaining stories. Take a few minutes to look at some of our work.